VAXI stands for velotaxi ("bike taxi") and is a combination of muscle and electrical power. 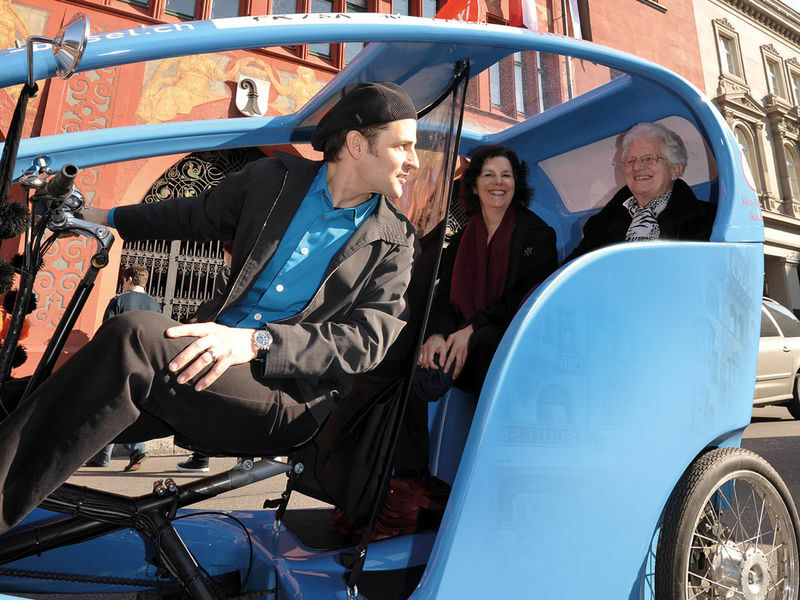 Why not set an example for green mobility and energy efficiency while exploring Basel in a unique way! 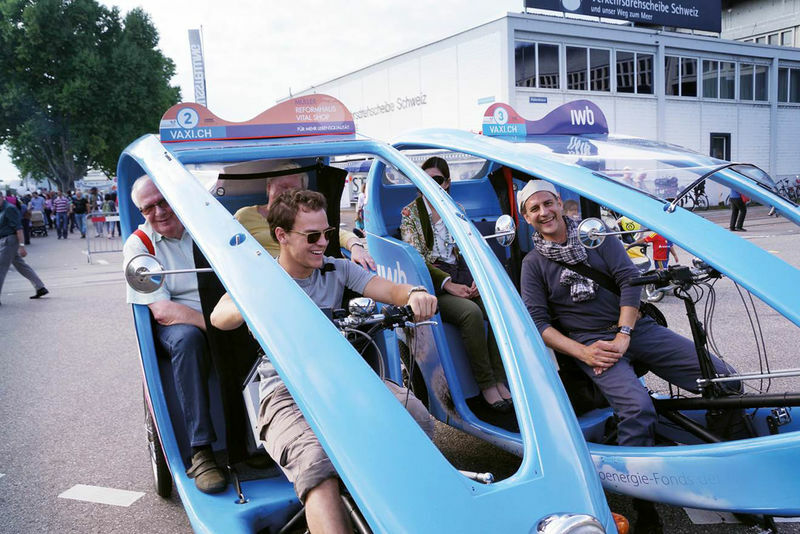 The fleet consists of four velotaxis which can each carry two adults and one child for a relaxed shopping trip or a sightseeing tour. A knowledgeable driver will stop at sights or hidden gems if the passenger wants them to. And it's perfect if you're in a hurry, as shortcuts mean you'll arrive quickly at your destination. - A 1-hour round trip costs 75 francs in summer and can be extended as desired by 1 franc/minute. - A 1-hour round trip costs 90 francs in winter and can be extended as desired by 1.50 franc/minute. Sightseeing Summer CHF 75.– 60 min. Sightseeing Winter CHF 90.– 60 min.